Forget Blue Monday—the London art world is blowing away the January cobwebs and firing on all cylinders. 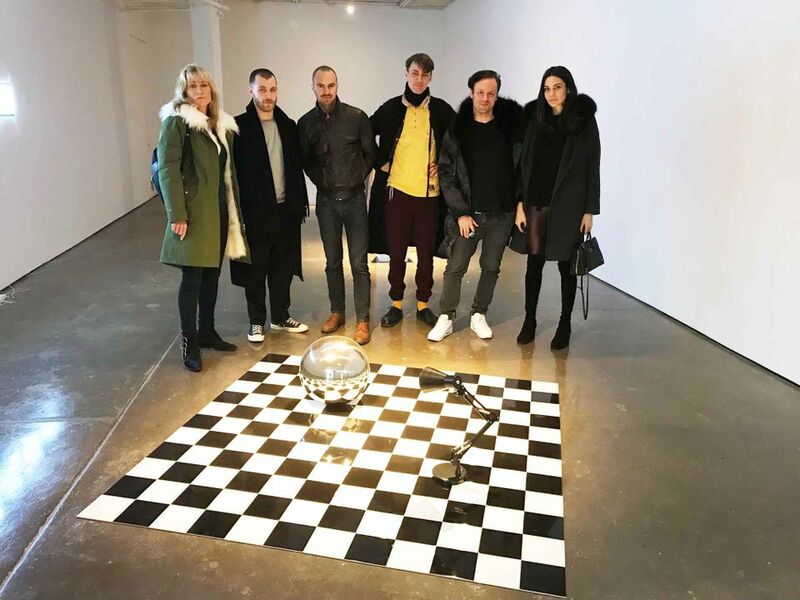 Hard-core contemporary art tribes were out in force last weekend (13-14 January) for the opening of the third edition of Condo—the international collaborative extravaganza in which 17 London spaces play host to artists from 46 galleries from around the world (until 10 February). With the definite feel of a marathon art safari and more than a whiff of competitiveness, roving art lovers vied with one another to clock up the most time on the road and largest gallery count. Heading the field was former chair and Royal Academy of Arts board member Lady Alison Myners, who cut a conspicuous dash along the East to West route. 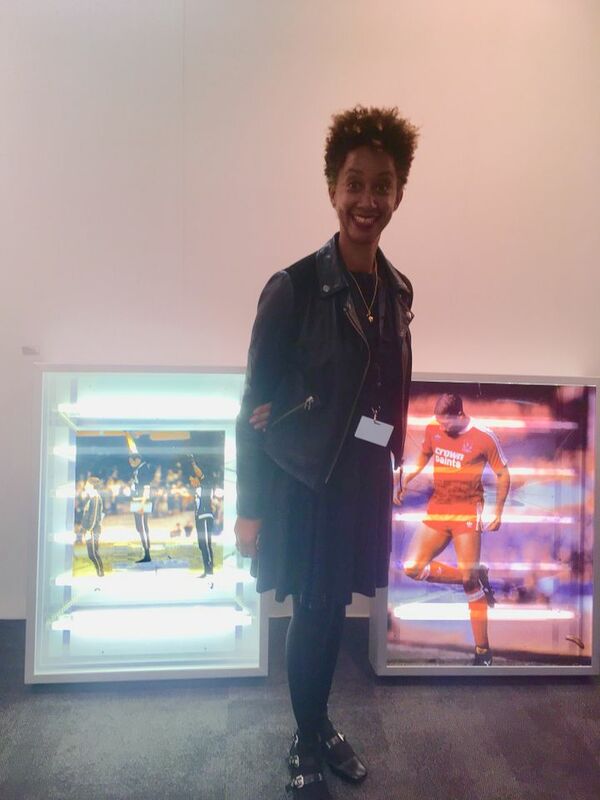 She took in a swathe of venues from Mile End (where the Condo founder Vanessa Carlos is showing Queer Thoughts from New York and Berlin’s Schiefe Zähne at her gallery Carlos/Ishikawa) to Marylebone (where König Galerie is hosting Galeria Jaqueline Martins from São Paulo). Lady M’s Condo consort was Rob Sheffield, the art advisor and ambassador for Tate young patrons and en route the duo gathered a sizeable posse, including the artists Ed Fornieles and the shoe designer Nicholas Kirkwood. Amongst the cluster of participating galleries south of the River Thames, your correspondent encountered the ever-energetic patron Valeria Napoleone and Frieze’s artistic director Joanna Stella-Sawicka in Rob Tuffnell’s Lambeth Walk space (partnering up with Croy Neilsen from Vienna and including some great work by Marlie Mul and Elke Silvia Krystufek), who were then on the way to the Sunday Painter and Arcadia Missa’s shared hosting of two Warsaw Galleries, David Radziszewski and Stereo. The collegiate Condo enables young and emerging galleries to reach new audiences using a cheaper, longer-lasting and more experimental alternative to the more branded, corporate art fair model. Yet many of the same visitors—along with the Bank of England governor Mark Carney—were also to be found at last night’s (17 January) opening of the London Art Fair (until 21 January), the predecessor to Frieze Art Fair which, despite a more mixed reputation, is still proving to be a hardy survivor and celebrates its 30th birthday this year. In the Projects section, the artist-run painting initiative Turps Banana stand was strong—including a surprisingly good painting by Damien Hirst that was being offered to interested parties in a mysterious secret lottery. Also in Projects, the Institute of International Visual Arts’ (Iniva) stand was also attracting particular attention with rarely seen collages by Donald Rodney, made from his hospital bed while he was suffering from sickle cell anaemia. These were accompanied by a pair of the late artist’s 1991 lightboxes featuring African-American athletes giving the Black Power salute at the 1968 Mexico City Olympics, and the Jamaican-born football player (and now musician and Big Brother Celebrity House contestant) John Barnes on the pitch in the 1980s with the racial slur of a flung banana at his feet: both images that regrettably continue to be pertinent as we embark upon 2018. What has sold at Art Basel in Hong Kong?